Please call ahead for availability and special orders & requests. 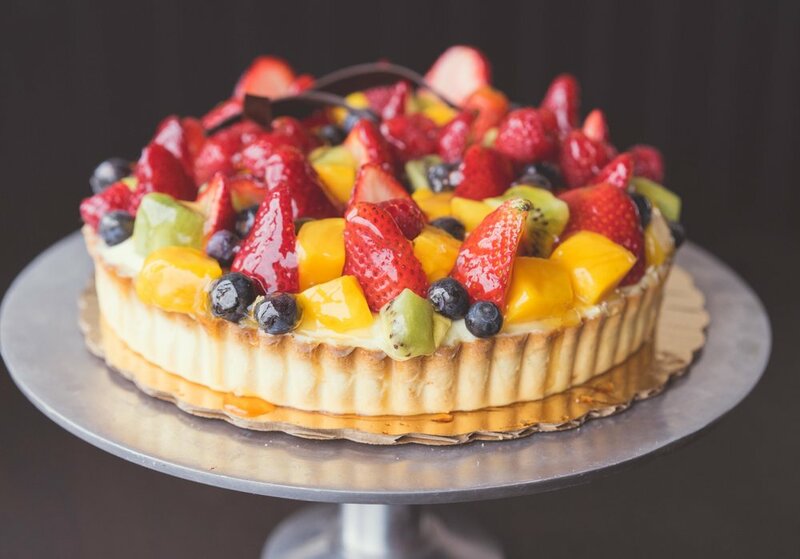 Tart shell with custard, peach, strawberry, kiwi, raspberry, pineapple, blueberries, dark sweet cherries and apricot glaze. Tarte shell, light custard, mango and raspberry, apricot glaze. 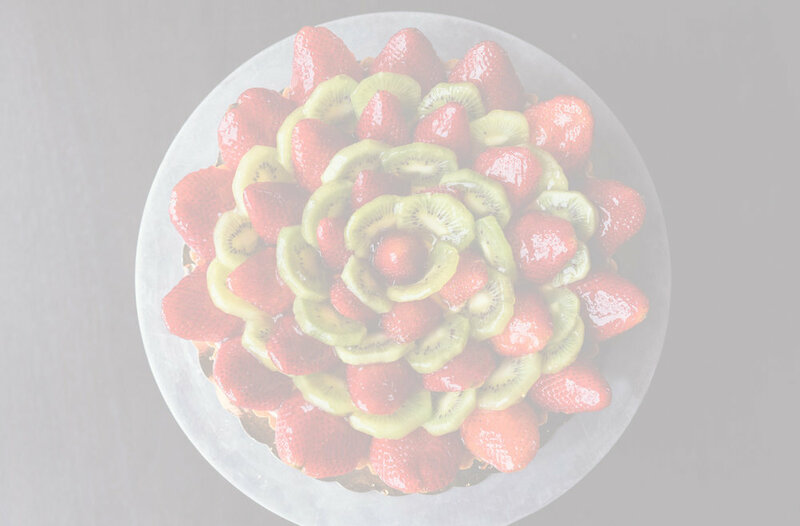 Tarte shell, light custard, kiwi, strawberry, apricot glaze. Frangipane, baked in a tarte shell with sliced pears. (Special Order) – Slices of apple over apple puree in a tarte shell. (Special Order) - Tarte shell, light custard, layer of chocolate, strawberry, and apricot glaze.